Nicrocraft's performance superiority is backed by a full 12-month, unlimited-hours warranty. Jim is responsible for developing business opportunities for Nicrocraft™. This includes developing relationships with new and current customers and markets to grow the Nicrocraft™ product line including new and overhauled aircraft parts, mufflers and exhausts. In celebration of Manufacturing Day 2018, Wall Colmonoy Aerobraze OKC will open its doors on Friday, October 12, 2018 to students from local Career Techs and high schools as part of an effort to inspire the next generation of opportunities that a career in manufacturing can provide. 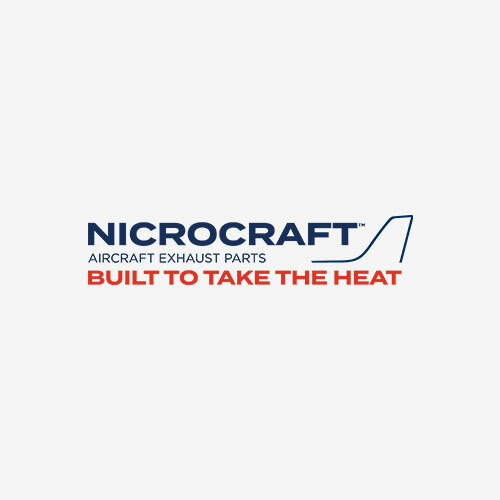 Representatives for Nicrocraft™ Exhaust Systems by Wall Colmonoy Aerobraze OKC will be on-hand at Booth 1006 to discuss your exhaust system needs for most single and twin engine aircraft. Wall Colmonoy Aerobraze Oklahoma City is pleased to announce a new look for Nicrocraft™ Aircraft Exhaust Systems. Nicrocraft™, which is designed and manufactured at Aerobraze Oklahoma City, are both newly manufactured and overhauled with FAA – PMA / STC approved parts. Nicrocraft™ Systems can be found in Cessna, Beechcraft, Mooney, Piper and other aircraft.